AVEnue Orchard is owned and operated by Ron (aka. Ronnie Appleseed) and Shelly Knutson, Matt and Misty Joers, and Ronnie Appleseed’s grandson, Mason. While working at General Billy Mitchell Air Reserve Station, the base was ordered to close under Base Realignment And Closer (BRAC) act. The decision was made that Ron would retire and the family would return to their hometown in Eau Claire, WI. Shelly planned on finding a job doing assisted living while Ron planned on crafting flag cases. During a visit to Eau Claire, Shelly and Misty joined other family members to go to some thrift sales. Their route took them past a bed and breakfast with a small apple orchard and a wood working shop on 10 acres of land. This gem became their new home and Apple Valley Enterprises, LLC was born. 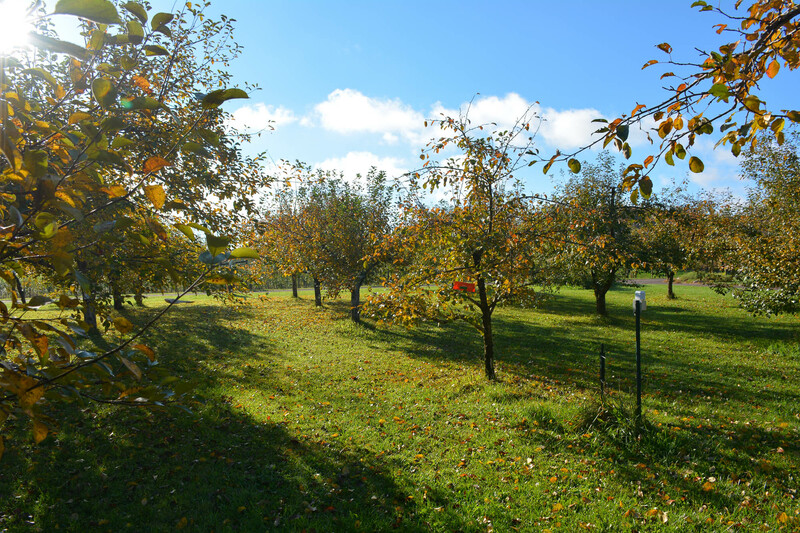 We began AVEnue Orchard in 2007 with 115 trees. With no map to what kinds of apples were here it was like a treasure hunt going through and discovering what was growing in the orchard, including timeless varieties such as Yellow Transparent and Duchess. It took some work to get the trees into shape and producing beautiful fruit once again, and now we are overrun with delicious produce. In addition to the apples, we also have a few varieties of pears and plums. We also added a garden to the property, growing squash, jack-o-lanterns, and giant pumpkins that are the perfect decoration for the fall season. 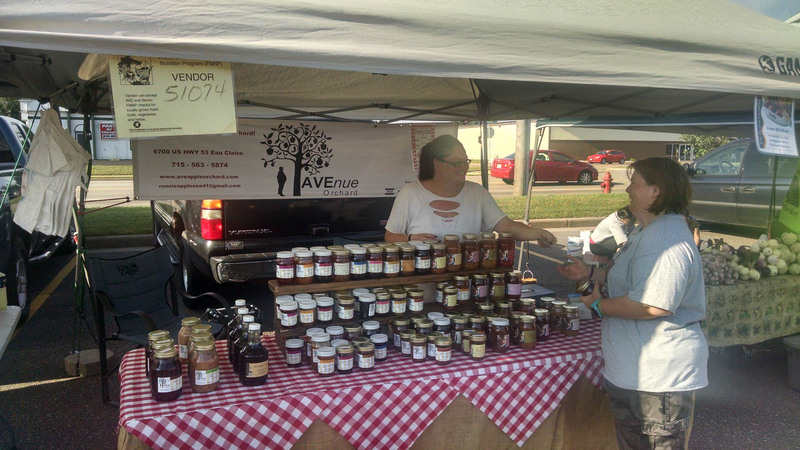 Besides our on-site store, you will also see us at various local Farmer’s Markets. While visiting us there, don’t forget to get your picture taken with Ronnie Appleseed. We’re not your average orchard.